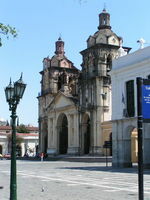 Córdoba is a city located near the geographical center of Argentina, in the foothills of the Sierras Chicas mountains on the Suquía River, about 700 km west-northwest from Buenos Aires. 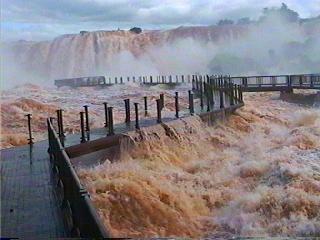 The National Park Calilegua is located in the Province of Jujuy, in the Department of Ledesma, Argentine Republic. It was created in 1979 by National Decree (D.N.) , Nro. 001733/80, including an area of 76,306 have of non-uniform relief, that includes/understands a series of faults, cañadones and very steep mountainous cords, that descend mainly from the Mountainous area of Calilegua. The history of science in Argentina describes the fate of researchers and scientific institutions of the country, often exposed to the elements of its economy and its politics, but able, nevertheless, to produce enduring works and useful to know and technology. The times of the governments of Bernardino Rivadavia and Domingo Faustino Sarmiento , or the generation of 1880 , or the luminous years 1956 to 1966 were the times of its greatest splendor. Many scientists who contributed to science in Argentina reached international renown, including three Nobel laureates , and in turn several world-renowned foreign researchers settled in the country throughout its history. They were able to drive the creation of institutions in the country known worldwide for its accomplishments. Today, there have been 23 visitors (96 hits) on this page!